No modern home can do without a good washing machine. If you are currently cash-strapped, there are plenty of cheap options. 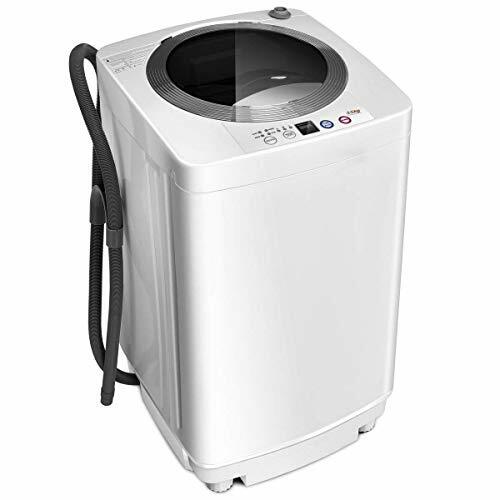 Here is a list of the cheapest washing machines that you can get for as low as $200. But if you have more frequent or demanding washing needs, such as for a family of four, you will have to up your budget to $500 to get a product matching your requirements. Panda is a well-known brand for budget washing machines. 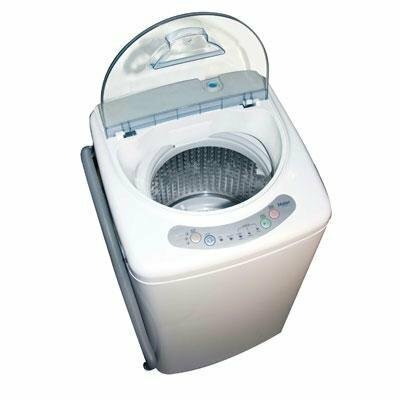 This is one of the most affordable larger sized washing machines out there. It can handle 15 lbs of laundry in a single cycle, which is impressive. 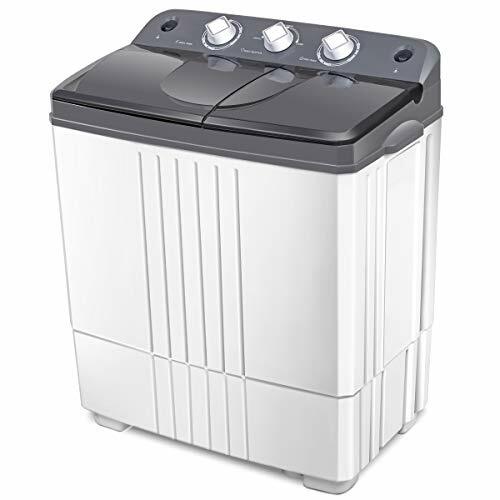 It has a number of automatic washing cycles with room for customization. The washer connects to faucets. It comes with a quick connect adapter kit and a number of differently sized hoses, so fixing it to a water source is easy. This is a superb washing machine if you live in a small apartment with a family. It’s also very durable too. Some of our colleagues have used this for more than 2 years! 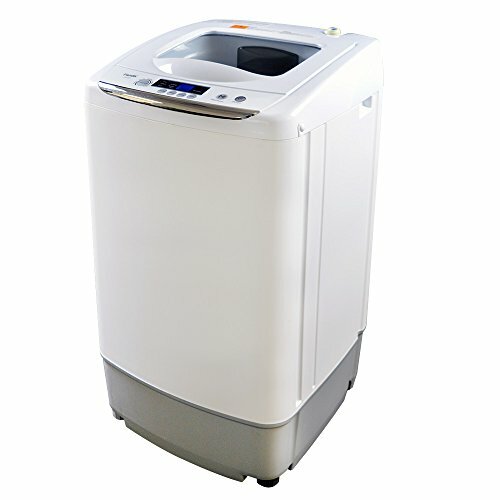 This Giantex washing machine has twin compartments, one for washing and the other for spinning. This is a major plus, considering most budget washing machines only include the washer. The washer is rather powerful, despite the portable size of the machine overall. The powerful motors can emulate the function of much higher priced machines. The washing tub is quite large, able to hold about 16 lbs of laundry. That’s a large load capacity enough to get all the washing done in one go. The spinner tub doesn’t dry the clothes. It automatically wrings the clothes to remove the water so the clothes can be hung dried faster. There are hardly any downsides except for some minor draining. Overall, this machine is a lifesaver for apartment dwellers, students, and RV nomads. Low on space as well as cash? Well, then this will be the perfect addition to your home. This machine takes up as little room as possible and can even be moved around if needed. 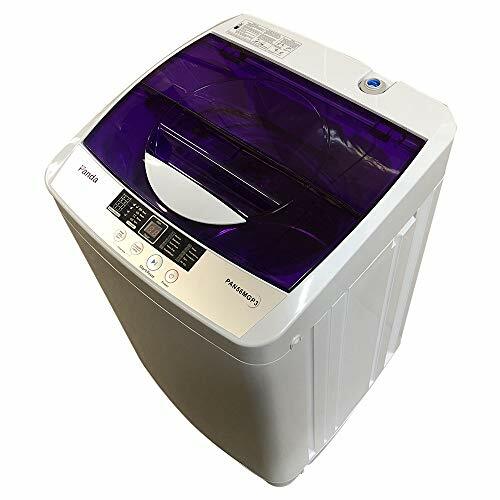 Despite its small size, this washing machine still works well for small to medium-sized loads. Its suitable capacity allows you to wash up to 11lbs of laundry in one go. This is also quite an advanced machine as well, complete with electronic controls. You can select from 10 washing programs and 8 water levels, letting you customize every load. Best of all, this washing machine can be plugged in virtually anywhere. This makes it suitable for smaller apartments, dorms, and lots more spaces. Setting up the machine in your home is also an absolute breeze and should take you only a short while. This is a rather small washing machine but it handled more laundry than we thought it would. You can load up about 9 pounds of clothes and this machine will clean it all neatly. If you are washing heavy items, like jeans or towels, don’t stuff it. We washed about two pairs of jeans at once and they came out clean. Don’t go overboard though. It has easy to understand electronic controls. The machine is really compact and is made for homes or apartments that lack space. The machine does have a pulsator system so it can be a bit noisy. One of the things that stands out about this machine is that despite its low price, it is actually fully automatic. This means that it has a built-in drain pump and automatic drainage. As such, it is incredibly easy for you to use. The tub is able to hold up to 8lbs of clothes which makes it a good size for most households. The other benefit of using this machine is that there are five different programs to choose from. This means that you get to wash your clothes in a wider variety of ways. Furthermore, depending on the load that you are washing, you can also select from three water levels – 16, 23, and 30 liters. The only real issue with this washing machine is the accompanying water hose. It is of poor quality and you will be better of replacing it immediately. You should protect your purchase with a warranty or a guarantee. It may be necessary if you purchase a budget washing machine based on an older model. Always pay attention to how the machine is filled with water. If the system is manual, then you would have to constantly monitor the tub. Most budget machines do require manual filling. Don’t expect too much out of a small budget washing machine. You may not be able to wash really large laundry items like king size comforters, carpets, or soft toys, like you can do with some expensive machines. Not all budget washing machines have the spin dry function. Some products come with twin tubs with one tub dedicated to spin drying. It’s worthwhile getting a machine with spin dry because you won’t have to wring the clothes by hand.